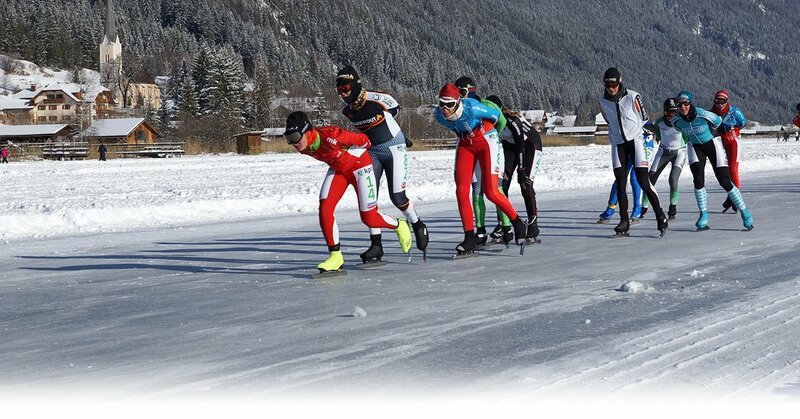 Every year Fire & Ice, the ice marathon spectacle at the end of January, attracts up to 5,000 speed skaters, regular skaters and winter triathletes from all over Europe to Lake Weissensee. There are three marathon contests to choose from, over 50, 100 and 200 km. Lake Weißensee freezes over every year and at 6.5 km² turns into the largest area of natural ice in Austria. The layer of ice, up to 40 cm thick and reliably safe, has brought the lake a reputation that is unique in Europe. From mid-December the lake attracts guests and locals to skating, cross-country skiing and relaxed walks. Small children love being pulled along on toboggans behind. 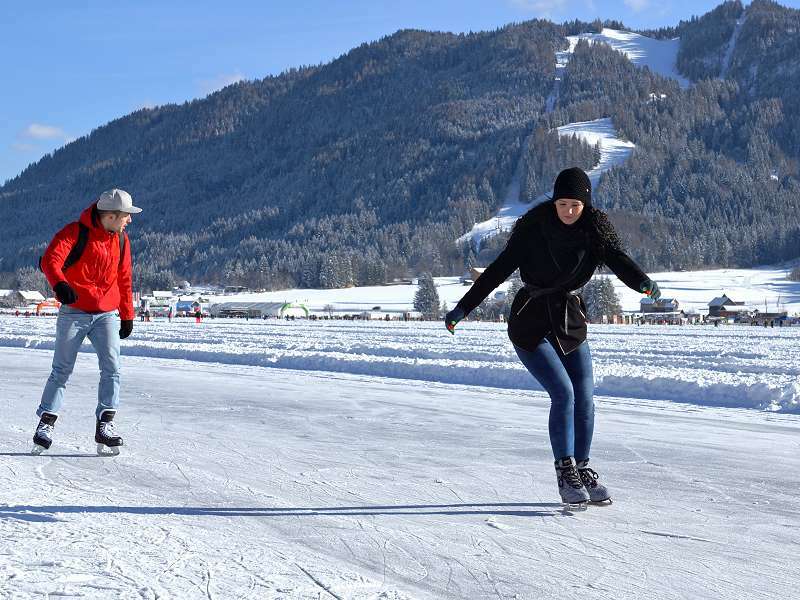 Events and skating races are regularly held on the ice of Lake Weißensee in winter. At the end of January a stretch of ice over 50 km long is prepared for the “Alternative Dutch 11-cities tour”. Check the dates here and join in! “Sheer action” for lovers of ice and firewater: the “National Ice Hiking Day” and horse show at the start of February and the Carnival processions before Lent are also genuine events that are well worth experiencing. 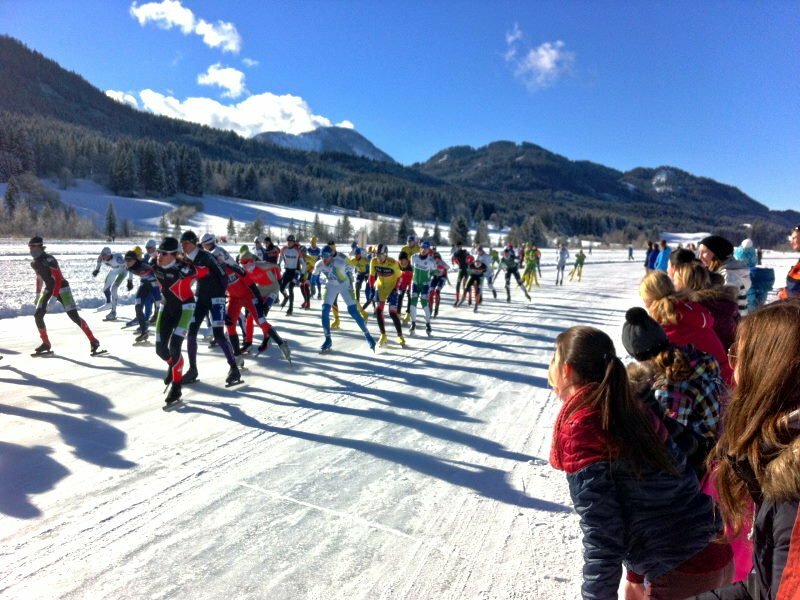 Many other ice sports can also be played on Lake Weissensee in winter. Lake Weißensee also has a ski region with a natural toboggan run. Toboggans can be borrowed free of charge from the Hotel. Ice skates and other sports equipment can be hired on the spot. 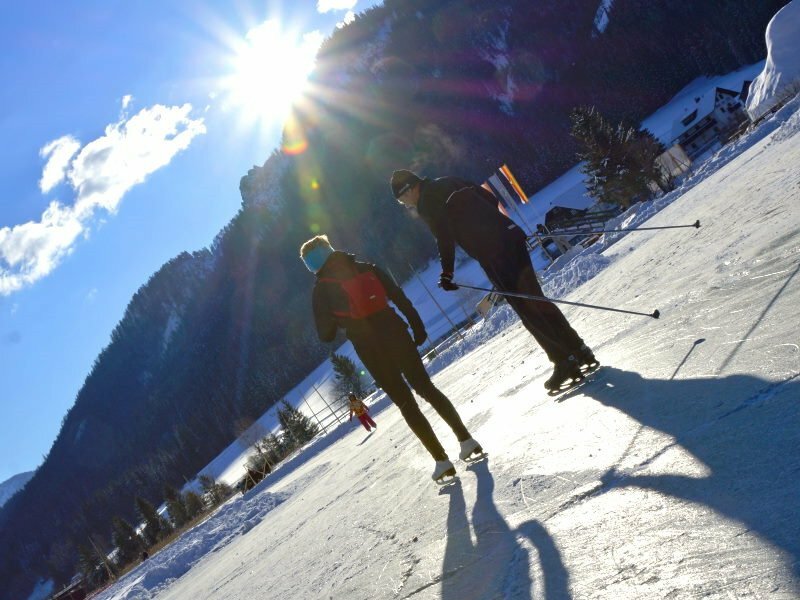 Please note that at Lake Weißensee a parking fee is charged (deductible from your ski pass) and there is also a charge for the use of the ice. You can park free of charge in the car park on the western shore and go straight onto the ice, or use the free nature park buses. We have all the current brochures on display at Reception and will be pleased to help you with any information you need.